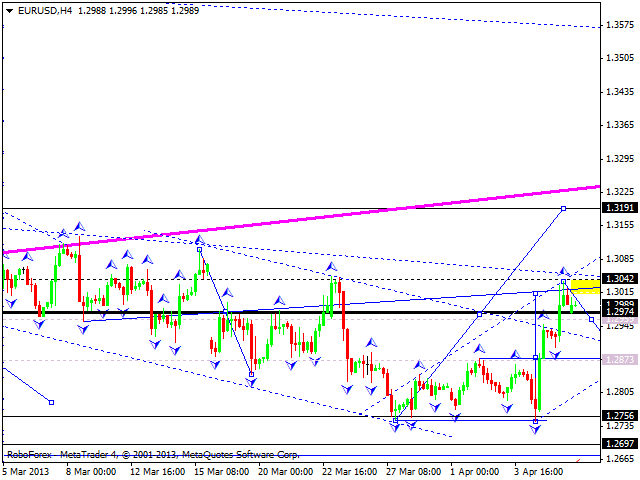 The EUR/USD currency pair is forming a correctional wave; by now, it has completed another structure. The whole pattern looks like inverted double top. We think today the price may return to the level of 1.2870 and only then start a new ascending movement to renew the maximum of the current structure. 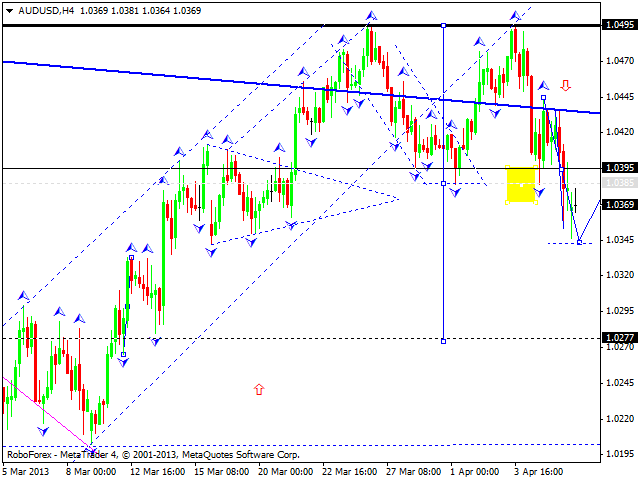 The GBP/USD currency pair is forming the third ascending wave; at the moment it is forming its first structure. We think today the price may for a slight descending correction towards the level of 1.5160 and then start growing up again. 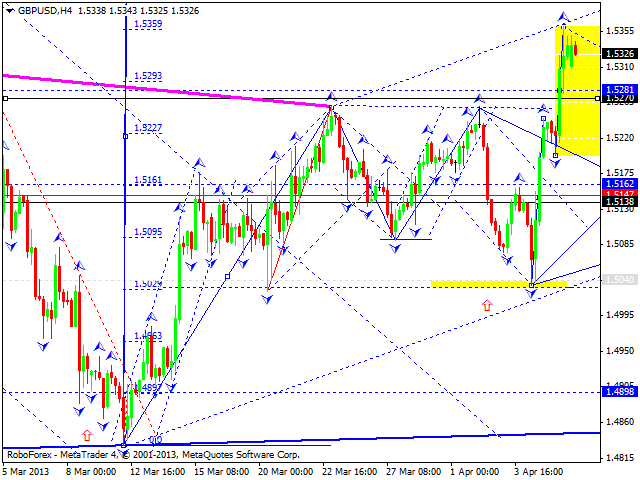 A predicted target of this structure is at 1.5400. 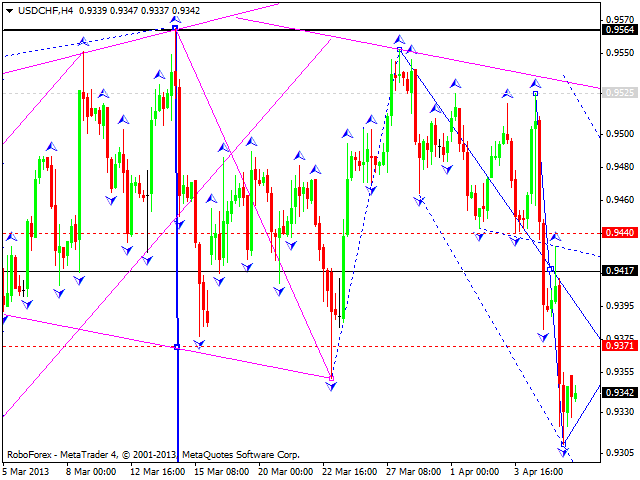 The USD/CHF currency pair is forming another descending structure. We think today the price may form a correction towards Friday’s descending movement and return to the level of 0.9420. Later, in our opinion, the pair may continue falling down to reach the target of this structure at the level of 0.9285. The market was opened with a gap up and the pair renewed its maximums. 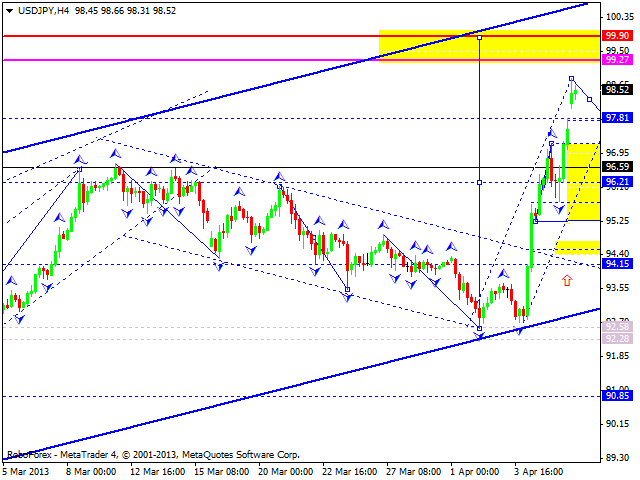 We think today the price may fall down to eliminate the gap and then continue moving upwards to the level of 99.90. Later, in our opinion, the market may start forming a reversal structure for a new descending trend. Australian Dollar continues forming a descending wave. We think today the price may reach new minimums, start an ascending correction to return to the level of 1.0395, and then continue falling down towards a local target at 1.0277. Later, in our opinion, the pair may consolidate for a while near this level and then start a new descending movement towards the level of 1.0115. 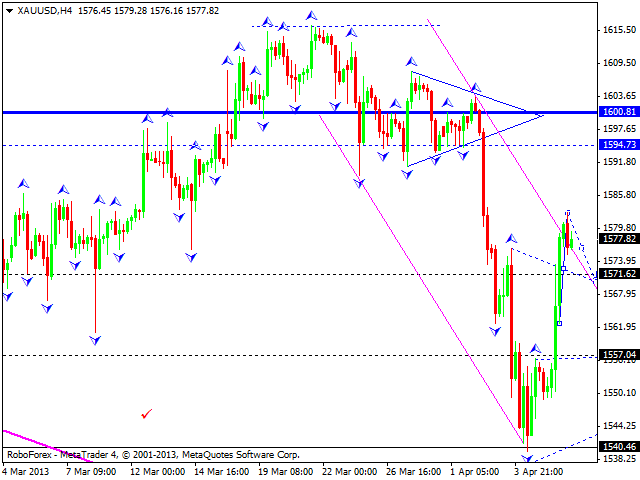 Gold continues forming an ascending wave; right now, it is forming the first wave with the target at 1600. We think today the price may fall down a little bit towards the level of 1570 and then start growing up to reach the above-mentioned target. Later, in our opinion, the instrument may form a correction towards the level of 1557 and then start a new ascending structure with a local target at 1640.